Shoulder Stand pose or Sarvangasana is known as the queen of all yoga asanas. Know about its benefits, variations and Beginners guide. 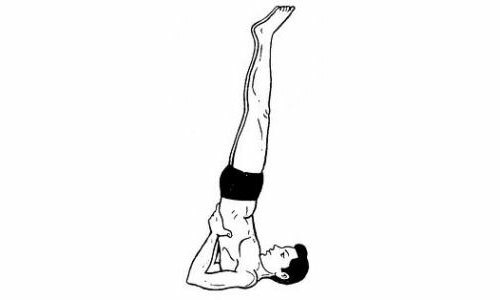 It is an inversion pose which can help stimulate the thyroid and parathyroid glands. Lie down on to your back with arms on your sides then bend your knees but keep them soft. Reach feet up toward the ceiling while pressing down the arms on the ground. Come in a modified plow pose allowing your feet to fall back behind you, your neck should feel good. Bring your feet to the ground for plow pose, clasp hands together on the floor and wiggle shoulders underneath. Place hands on lower back for support, soften your legs and bring your knees on the forehead. When you feel stable, make your feet reach toward the ceiling one at a time. Lengthen your legs when you feel comfortable and breathe for at least 3 deep breaths. 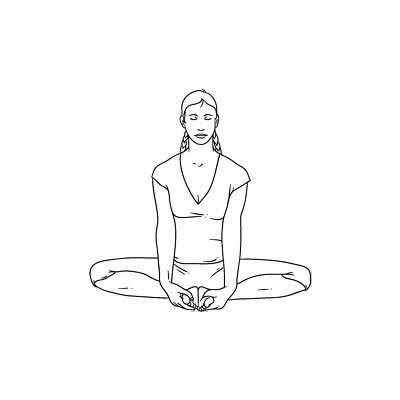 To come out of the pose, come down slowly with softening knees toward the forehead. Come back to plow pose, and gently lower your back to the mat. You can support shoulder stand with yoga block, place them under your hips. This pose is recommended for people with thyroid problems, diabetes, hormonal imbalances. This yoga asana can help increase blood supply to the head, very good for the heart, calm the mind and uplift the internal organs. Because of the increased blood flow to the face, you can get rid of your wrinkles and achieve youthful glowing face. More so, you can burn fats faster because this asana can help boost metabolism. To improve circulation, you can shake your feet vigorously. While in shoulder stand, move one knee at a time and bring them down to your shoulder and straighten your legs. Shoulder Stand pose or Sarvangasana have contraindications for persons with migraines, high blood pressure, menstruation and neck injury. Pregnant women, overweight and those with weak wrists are also advised not to perform this asana.